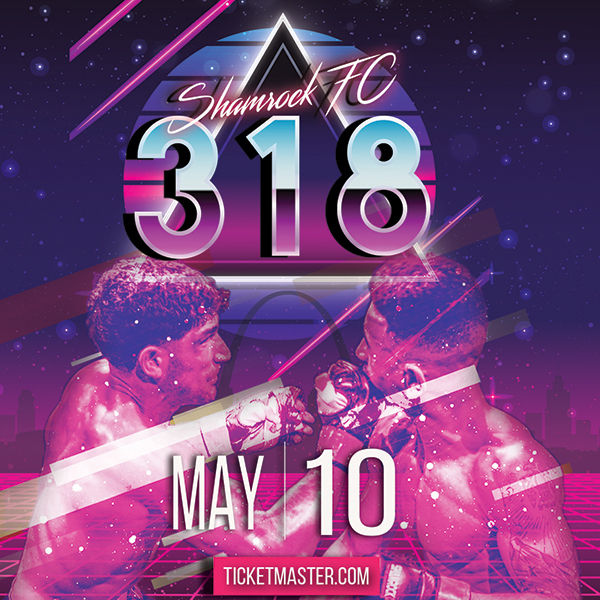 Shamrock FC's last trip to Kansas City was high voltage. The event titled "Charged" saw Zach Bucia turn out the lights of his opponent in an epic head kick KO, wowing the crowd at the Ameristar Casino. The main event features the return of arguably the best new pro KC has to offer: Andrew Tyson. Tyson will be taking on "Slick" Nick Gerhts in a battle of two of the Midwest's fastest rising stars. 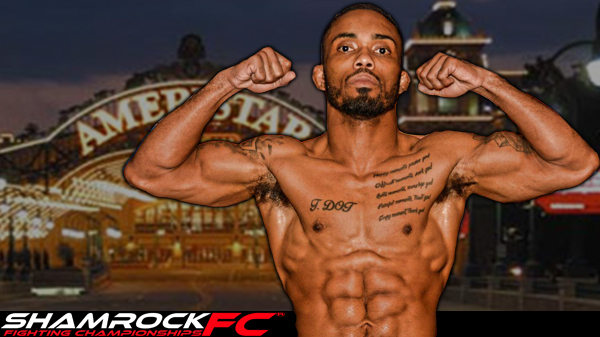 Gerhts trains out of Knoxville MMA alongside Ovince St. Preux, the Strikeforce and UFC light heavyweight knockout artist. A submission fighter, Gehrts (4-1) has built quite a reputation in Eastern Tennessee fighting for the Valor Fights promotion. Tyson will be the toughest fight of his career and the furthest he has had to travel for competition. Take one look at the poster, and you can see Tyson is a physical specimen. Going unbeaten as an amateur, Tyson turned pro in January of last 2014 and notched four wins over tough opponents. His last win, over Dustin Blake (6-4), is arguably the best test of his abilities, but it was wins over Christian Camp and CJay Hunter back-to-back that really is impressive. Tyson finished Camp with a RNC with just moments to spare in the second round. When 2015 rolled around, Tyson found himself with a shortage of opponents willing to fight him. With a couple of fights falling through, he's in the midst of a seven month break. "I was healthy the entire time," Tyson said. "I had two shows fall through on me in March and May. If it was up to me this would've been my third fight this year." Luckily, Gerhts has taken the challenge. "I've seen some footage and he seems confident in all areas," Tyson said. "But I honestly believe I'm on another level. I don't believe he can stop my wrestling, and I think he'll be in for a surprise when he realizes how powerful I am at this weight class. I believe it's up to me where this fight goes and my submission defense is better then people realize so I believe he'll be in survival mode from the opening bell." One advantage Tyson has had is the ability to train with the best Kansas City has to offer. Whether it's his his home gym at ATT HD or with the stable of tough fighters across town at Glory MMA, Tyson believes his training is top notch. "I'm at HD and I also cross train at Glory MMA with James Krause and all those guys." Tyson said. "Between having guys like LC Davis and Jason High preparing me for wrestling to guys like Krause who are 6"2 helping me deal with kickboxing and length I feel comfortable everywhere. No way this guy is showing me something they haven't." Two heavyweights will collide when Shane Grant and Kenny Fredenburg meet in the co-main event. Grant (3-1) has yet to see the second round as a pro with his only loss coming to Derek Bohi, someone whom he beat as an amateur. Fredenburg has an impressive (7-3) record in a notoriously volatile regional heavyweight division. Rebecca Ruth has been buzz-sawing her way through the competition in St. Louis. Ruth (3-1) training out of 21st Century Defense in Pacific, comes armed with devastating striking with her only loss coming from a split decision at RFA 19 in Minnesota to Jocelyn Jones-Lybarger. Ruth will be matched up with Taylor Miller. Miller (1-0) is tall and rangy and could pose a stylistic challenge for Ruth who likes to get in and work combinations from inside. Also on the card, Adam Stickley takes on Jake Constant and Johnnie Roades versus Aaron Roberson. On the amateur side watch out for Kevin Woltkamp versus Dusty Chandler. Chandler has impressive speed and footwork for a guy his size, and has a already started to amass a highlight reel of incredible finishes including a head kick KO in a K1 match. He'll take on 36-year old Woltkamp, a winner of his last three fights. Andrew Tyson photo courtesy of Jerry Chavez Photography.